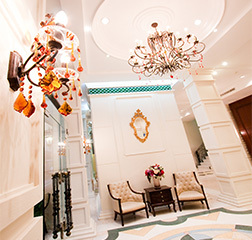 Its 155 rooms and suites are tastefully furnished with modern comfort to ensure guests' satisfaction. 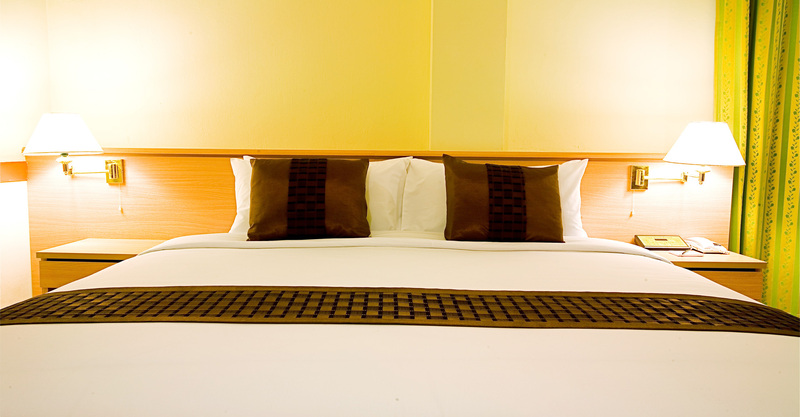 Our bedrooms are equipped with first-class bedding comfort,air-conditioning, cable TV, telephone, refrigerator. The bathrooms with its glass wall, are well proportioned and amenities provided. 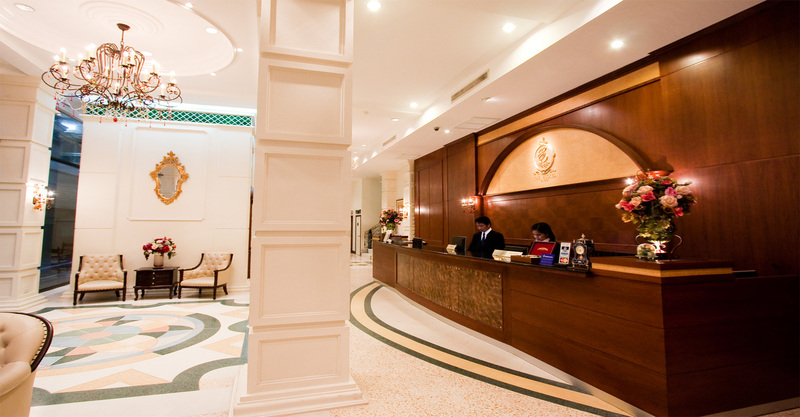 Being a non-smoking hotel, we invite smokers to use the open-air area on the groundfloor (right side of the lobby), where you can relax and smoke. With a total area of 28 sqm, the rooms feature a king-size bed with duvet, bed lamp, dressing table, hair dryer, room safe, refrigerator, glass-wall shower with bathroom amenities. With a total area of 36 sqm, the room feature 1 king-size bed and 1 queen-size bed with duvet, bed lamp, dressing table, hair dryer, room safe, refrigerator, glass-wall shower with bathroom amenities. Superior Family can accommodate up to 4 persons. 36 sqm in size, Deluxe Double Rooms has a king-sized with duvet, bed lamp, dressing table, hair dryer, room safe, refrigerator, glass-wall shower with bathroom amenities and bathrobe. A little larger in size than the Deluxe Double. The Deluxe Triple rooms have an area of 38 sqm, feature 1 king-size bed and 1 single bed with duvets, bed lamp, dressing table, hair dryer, room safe, refrigerator, glass-wall shower with bathroom amenities. Deluxe Triple can accommodate 3 persons. 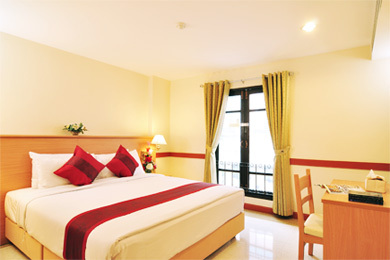 Located in the corner of the building, the spacious Junior Suite have an area of 55 sqm. The bedroom separated from the living room. They are well equipped with a king-size bed with duvet, 42 inches LCD TV, and a DVD player, other furniture and amenities include a sofa and a coffee table, tea/coffee making facilities, free mini bar, and full range of bathroom amenities. 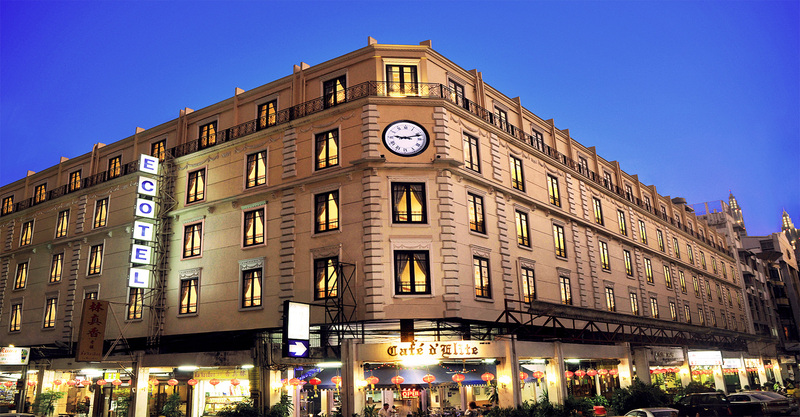 The Ecotel Bangkok is a new 3-star hotel located right in the heart of Bangkok, Rajthevee District. It is close to many major commercial and shopping centers. 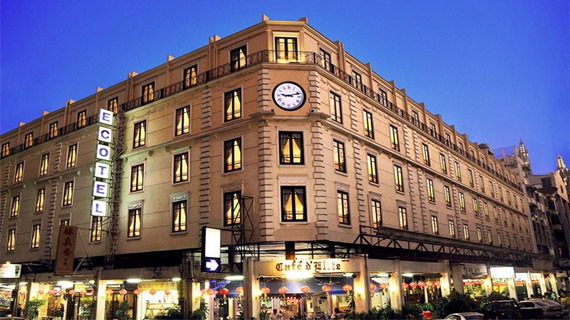 Being situated only a few minutes from Rajprarob Road, the hotel is within walking distance to the famous wholesale and retail "Pratunam" clothing market, and also the new and popular "Platinum Fashion Mall". 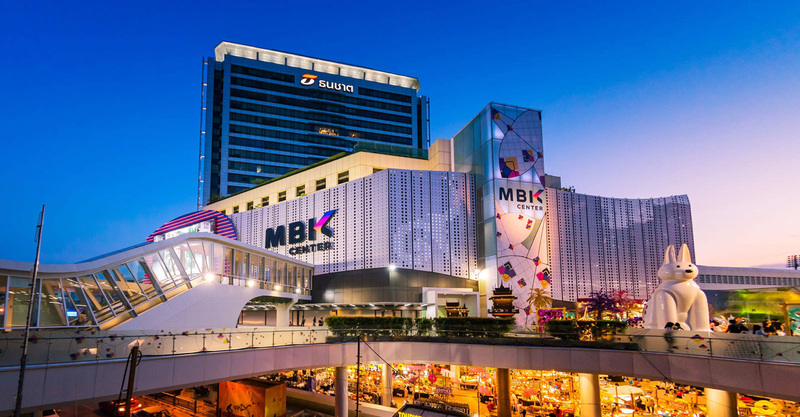 Further on nearby Rajadamri Road, you will find one of Bangkok's best-known landmarks—the Central World Plaza" (formerly World Trade Center). 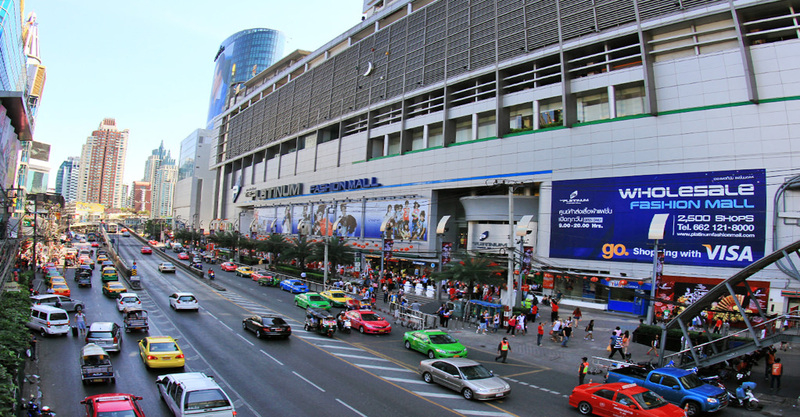 The chic and busy Sukhumvit and Rajaprasong areas with their sky train stations are also in the vicinity. 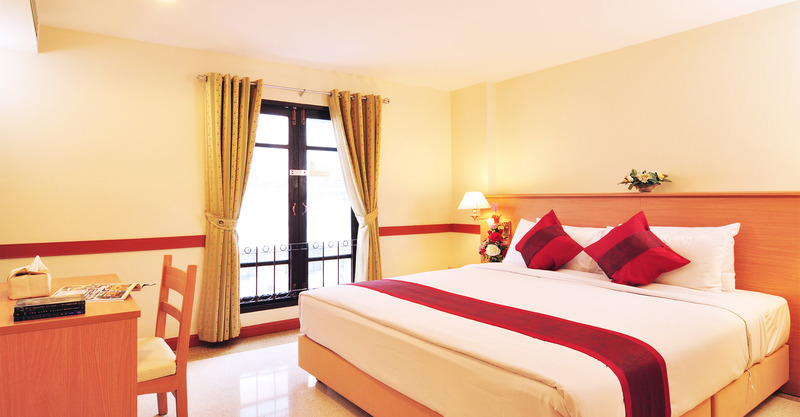 Guests truly have easy access to all points of the city while staying at the Ecotel Bangkok. 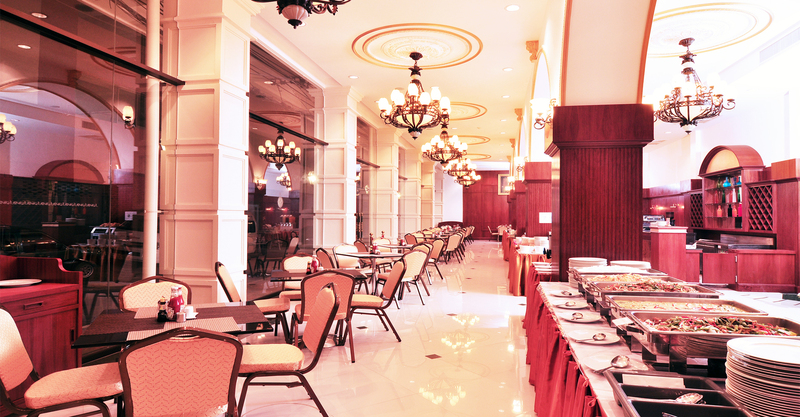 The European-style decoration throughout the hotel will give you the feeling of being in a classic, yet modern, new hotel. Copyright © 2018 The Ecotel Bangkok All rights reserved. Design by Allhandsmarketing.